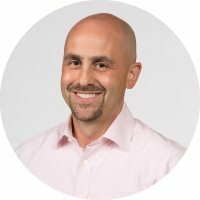 Dan’s 20-year career has consistently focused on delighting customers, spanning multiple disciplines including social media, customer service, marketing, and digital customer experience. Dan is the author of the book, Winning at Social Customer Care: How Top Brands Create Engaging Experiences on Social Media. He also co-hosts the Experience This! podcast. Dan holds a B.A. in psychology and communications from the University of Pennsylvania, and an M.B.A. in marketing and strategy from the Kellogg School of Management at Northwestern University. For more info, visit www.winningatsocial.com. HOW DID YOU GET TO BECOME AN EXPERT IN SOCIAL MEDIA MARKETING? First of all, I don’t think there’s such a thing as an “expert” in social media, because the field changes so rapidly. As soon as you feel you’re an expert at something, one of the platforms changes an algorithm and it’s back to the drawing board! That said, my 20-year marketing career served as a good background for social media, which is really just a more personal way of marketing to people. WHAT AREAS OF SOCIAL MEDIA MARKETING ARE YOU MOST PASSIONATE ABOUT? That social media is the first (and only) marketing channel where people can talk back. Brands had been used to “megaphone” channels like TV, radio, and billboards, and suddenly there’s a new channel where the customer’s voice can be heard. This shifted the power from brands to consumers, and I found it fascinating to see how brands reacted. Certainly I found passion in the customer service portion of social media, particularly because so many brands were unprepared for it to become a major source of inbound inquiries. My book, Winning at Social Customer Care: How Top Brands Create Engaging Experiences on Social Media, details the strategies that successful brands have used to engage with customers and provide remarkable experiences on the world’s most public customer service channel. Recently I’ve been very interested in social media’s role in the customer experience, and the determining factors of what gets shared. The brands that are proactive in creating memorable experiences are finding that people are just as willing to share positive experiences as negative ones, so the goal should be to ensure that the brand lovers are louder than the haters. WHICH SOCIAL MEDIA MARKETING INFLUENCERS INFLUENCE YOU? Jay Baer, Bryan Kramer, Neal Schaffer, Madalyn Sklar, and Brian Fanzo to name a few, and for nonprofits I’d highly recommend Chris Strub. OUTSIDE OF SOCIAL MEDIA MARKETING WHO ELSE INFLUENCES YOU? Throughout my career, I’ve followed my passion. I’m a rarity of sorts in the sense that I work full-time and still manage to speak, write blogs (and a book!) and co-host a podcast. But I do all of those things because I’m passionate about them. I love talking about customer experience with people because all of us have had good and bad experiences with brands that are memorable. I also take a lot of pictures of signs and other fascinating pieces of the experience when I’m out and about at restaurants, stores, etc. And I recently joined a startup because I am passionate about its technology and how it can drastically influence marketing results. I believe that customer experience will become the last true differentiator in most industries. Not only are price wars a losing battle, but many consumers today are less price-sensitive than in the past and are willing to pay for better service or a better experience. Products are easy to copy, even in revolutionary industries (look at Uber and Lyft). But experience – and the people behind that experience – are the most memorable, impactful differentiator that is almost impossible to copy. I love speaking to engaged audiences who really want to become customer-obsessed like I am, so I am always looking for great speaking opportunities. And in my day job I am always happy to talk with companies who want to be amazed at what a computer can do with marketing language that humans simply cannot.